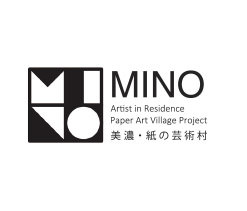 Mino Paper Art Village has offered a residency-based international exchange programme since 1997. The aim of the program is to develop the relationship between artists and the public. Located along the Nagara river in central Japan, Mino city is one of the main centres of Japanese paper-making tradition. In the 3 months residency the eligible artists have an opportunity to learn Mino washi techniques and integrate it in their experimental idea. The program provides support for artistic exploration to create unique works based on these experiences. Workshops for elementery schools in Mino city.